Was he soaking his hands in Palmolive? Dish pan hands are the worst to operate with! 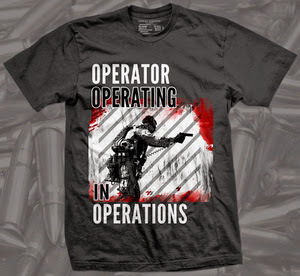 He needs the new Operator Operating shirt available at Russian Roulette Clothing if he wants to be "next level."